Enjoy the top 3 famous quotes, sayings and quotations by Carrie Tollefson. 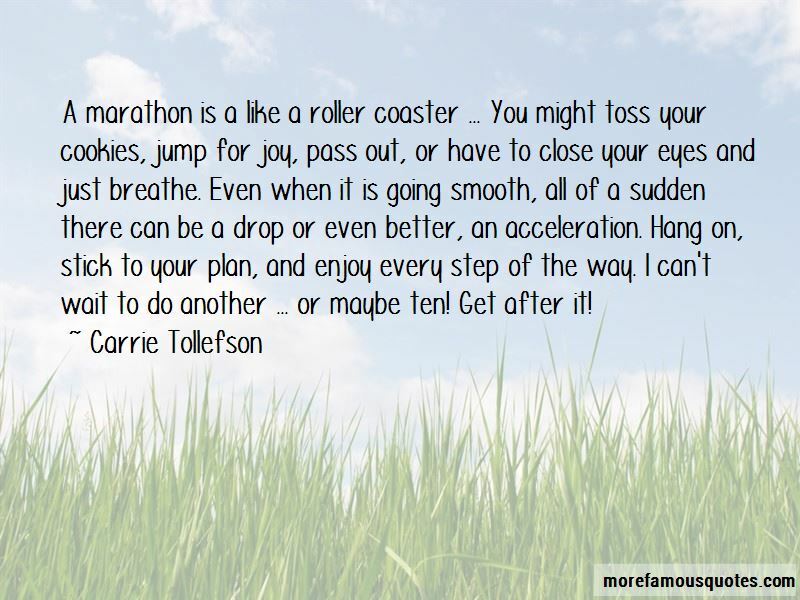 A marathon is a like a roller coaster ... You might toss your cookies, jump for joy, pass out, or have to close your eyes and just breathe. Even when it is going smooth, all of a sudden there can be a drop or even better, an acceleration. Hang on, stick to your plan, and enjoy every step of the way. I can't wait to do another ... or maybe ten! Get after it! 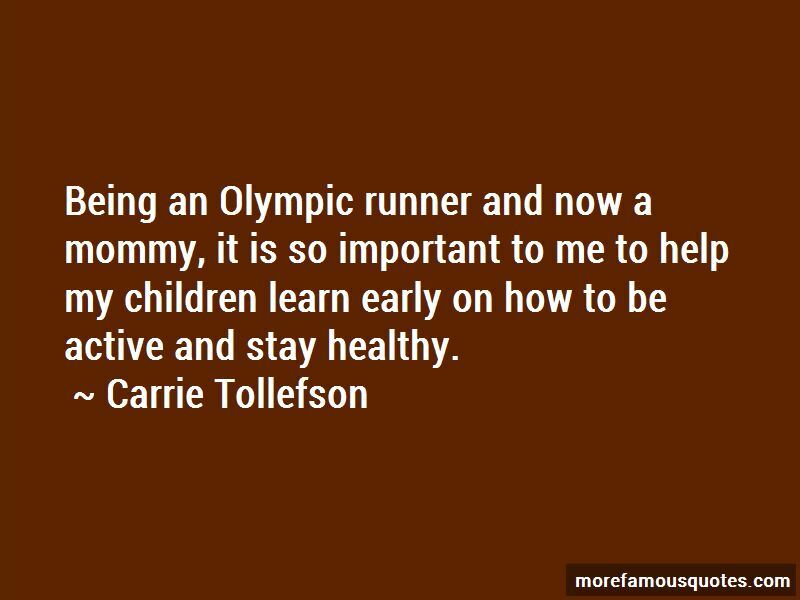 Being an Olympic runner and now a mommy, it is so important to me to help my children learn early on how to be active and stay healthy. 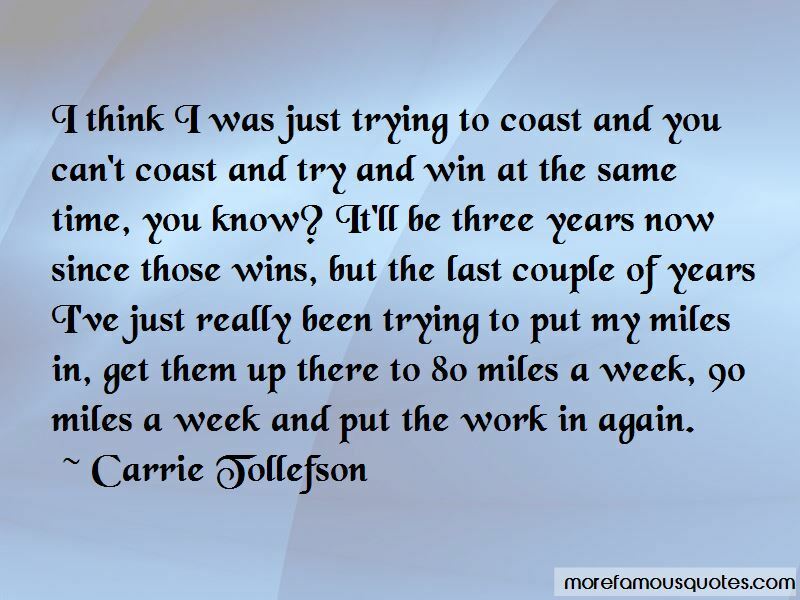 Want to see more pictures of Carrie Tollefson quotes? Click on image of Carrie Tollefson quotes to view full size.